*The Reading Wizards are excited to begin play in their 3rd season. *The Wizards are looking to be a top team with their eyes set on a ABA championship. So get ready for high scoring, fast paced and exciting basketball. 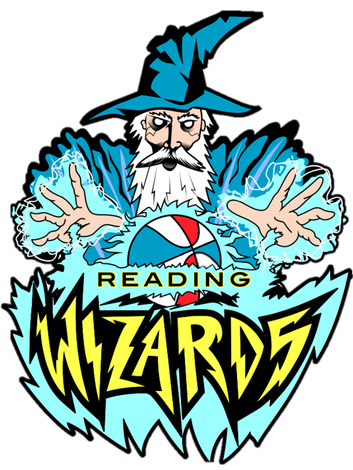 The Reading Wizards is a new expansion team of Berks County in Reading, Pa. The Reading Wizards are a professional basketball sports team is affiliated with the American Basketball Association (ABA), the largest professional sports league in the US and also the most diversified professional sports league ever with 75% of our teams owned by African-Americans, Hispanics, Asians, women, Native Americans and disabled. No other professional sports league has ever come close to that. Yes, the ABA is back. As you may recall the ABA helped jump start some of the NBA's best players (Julius "Dr. J" Erving, George McGinnis, Dan Issel, Spencer Haywood,Moses Malone, Marvin "Bad News" Barnes) by them getting their starts right with the ABA. Also the ABA is famous for the red, white and blue ball, 3 point shots, wide open style of play including slam dunks (and the introduction of the first Slam Dunk Competition. Our inaugural season began November 2017. We are confident that there are going to be some awesome and talented players added to our roster. When we begin play in November, we'll have over 100 teams in cities across the country.